Metro is apparently testing out new tiles for its stations that would be less slippery when it's rainy or icy outside. "The only thing that seems to stick to them is ice," quips the Washington Post's Dr. Gridlock. The transit agency is trying out the new tiles at its Takoma Park station, reports the Post. 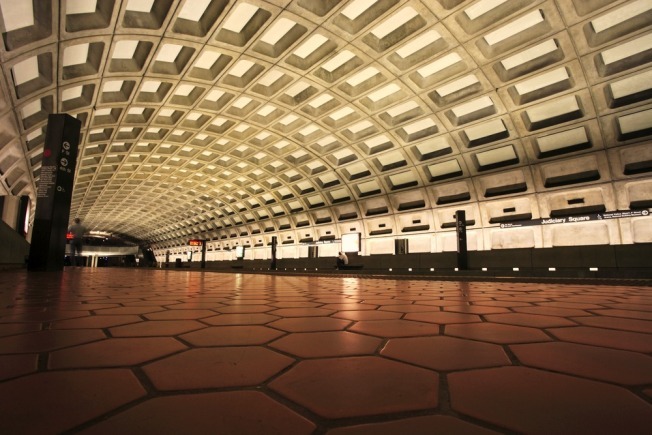 The Post reports that the new tiles being tested are similar in color, but they are larger and square, making them easier for maintenance and replacement. However, the new square tiles will be embossed with the familiar hexagon shape.